American Olympian Ryan Lochte has been surrounded by controversy since his claims of being robbed during his stay in Rio de Janeiro were called into question by Brazilian officials. In the most recent turn of events, Brazilian police attempted to seize Lochte's passport to prevent him from leaving the country and question him further. But by the time these orders were made, the swimmer had already flown back to the United States. 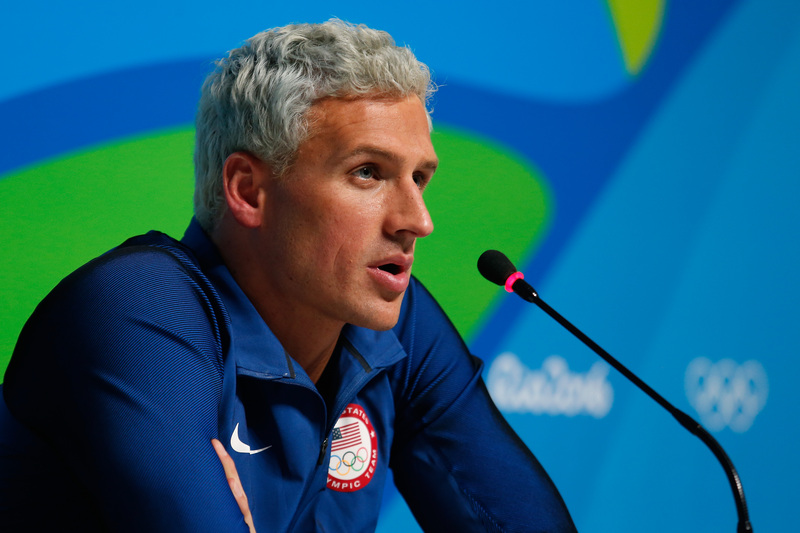 Will Lochte have to return to Rio? The swimmer will eventually need to give his account of what happened that night. Earlier: According to a report from Reuters, the swimmer may have to hop on a plane back to Brazil to do just that. Judicial sources said that the judge who ordered for Lochte's passport is now considering whether to ask him to return to Brazil to testify. There is a possibility, however, that Lochte will be able to do so in the United States. His testimony would be used to clear up the many questions left in the wake of the alleged robbery. Thus far, Lochte has given at-times conflicting statements, from changing the location of the supposed incident to the manner in which the swimmers were held at gunpoint. The New York Times reports that Lochte has chalked up these discrepancies to "traumatic mischaracterization" brought on by stress. Some of Lochte's teammates also involved in incident may not be able to give their testimony from the U.S., however. Olympians Jack Conger and Gunnar Bentz were pulled from their flight from Brazil to America on August 17 by Brazilian police. Local television stations captured them being escorted into the airport's police station to give testimony. A spokesman for the U.S. Olympic Committee has confirmed that they were released on the condition that they would give additional statements to police this week. The fourth swimmer, James Feigen, has remained in the South American country and likewise plans to talk further with police. The New York Times adds that this controversy all comes with another large consequence: It has created a test between Brazilian police and American officials, who have been working closely together since before the start of the Olympics. But it appears as though Brazilian officials have kept the U.S. at a distance while this investigation is pending, preferring to work more independently. Though he has given some interviews, Lochte has remained mostly silent about the incident following his return to the U.S. On his Twitter account, the Olympian retweeted one user who sided with him, saying: "I am from Brazil and I believe Ryan. I was robbed in the bus. Drivers are working with robbers."